Two industry leaders rolled out support for Zwift workout (.zwo) exports last month, adding substantial horsepower and flexibility to the creation Zwift workouts. TrainingPeaks added support for .zwo exports in mid-January, while BestBikeSplit added Zwift support to its beta ERG creation tool two weeks later. Many coaches use TrainingPeaks to plan workout sessions. Additionally, TrainingPeaks offers many training plans for sale. 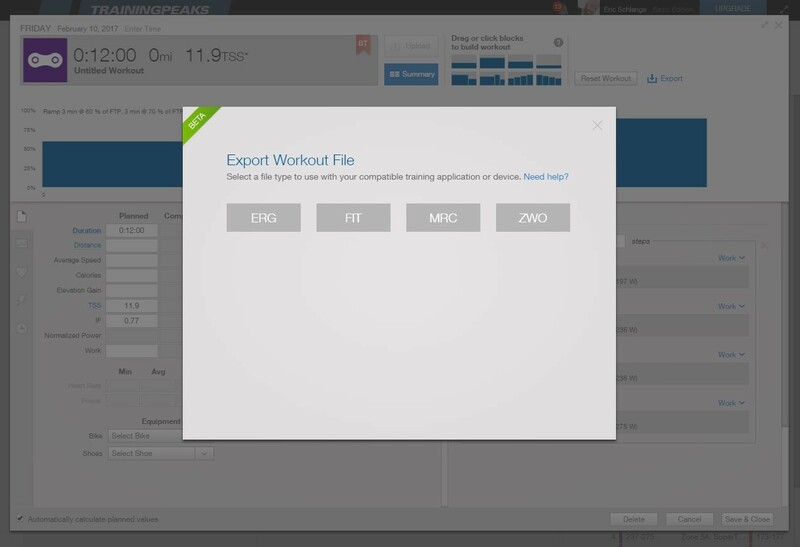 Workout sessions created in TrainingPeaks’ Workout Builder can now be easily export to .zwo format. Read more on Structured Workout Export FAQ from TrainingPeaks. Tour de France teams, Ironman World Champions, Olympians, coaches and more use TrainingPeaks to track, analyze and plan their training. Products include TrainingPeaks.com Athlete and Coach Edition, WKO+ desktop software for cutting-edge scientific analysis and planning, and the TrainingPeaks mobile apps for iOS and Android. 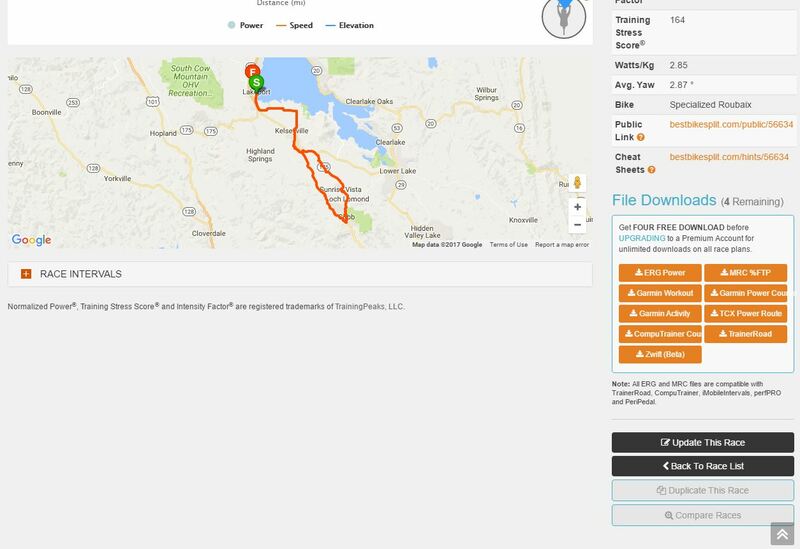 BestBikeSplit’s additional of .zwo support means you can create a power-based workout file for any race course, allowing you to ride a Zwift workout which will guide you to hit the specific wattage targets that deliver your best race times for a given course, bike, and conditions. 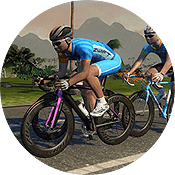 We have created a special Zwift workout file that allows athletes to load BBS race plans as workouts into the Zwift workout library. This file type is in beta as we add additional features to it over the off season such as on screen instructions for road gradient and weather conditions. To load a workout into Zwift you can download the Zwift file from your race details page. One warning: BestBikeSplit only allows you to download four race plans before upgrading to a Premium Account ($19/month) which offers unlimited downloads on all race plans. Very popular with triathletes and serious bike racers, BBS takes in your power data, course info, and race day conditions to predict your race performance and create the perfect power plan so you can get your fastest times. If you need help copying these exported workouts into Zwift, see How to: load custom workouts in Zwift. 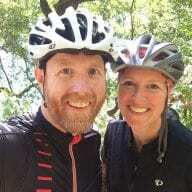 Is it possible to import ERG files created by BestBikeSplit into ZWIFT for exercise? Hi, i´m useing TP to export my workout to zwift, i am doing in a mac. But now i bought a PC and i dont know how i can put my workouts in to zwift! can someone help me and explain to me if i am 5 years old?